Tokyo Electric Power Co. (TEPCO)'s tsunami-crippled Fukushima Daiichi nuclear power plant's reactor building number 4 is seen in Fukushima prefecture, in this aerial view photo dated March 11, 2012. Three months after the March 11, 2011, tsunami led to meltdowns at the Fukushima Daiichi nuclear plant in northern Japan, scientists detected higher levels of radioactive elements in the ocean up to 600 kilometers (373 miles) off the Japanese coast -- but not at levels that present an immediate threat to human health, according to a new study. Using 24 specially equipped drifting buoys, a team led by researchers from the Woods Hole Oceanographic Institution in Massachusetts found radioactive isotopes -- slightly different versions of elements -- derived from the Fukushima Daiichi plant in seawater as well as in various underwater microorganisms and a small sample of fish, according to a paper appearing Monday in the journal Proceedings of the National Academy of Sciences. While much research has been focused on measuring radioactivity near the coastline and in the air and soil of Japan, there is relatively little information about the distribution of radioactive elements farther out, the researchers say. The levels of radioactive isotopes the team found last June were between 10 and 1,000 times higher than previously documented figures. However, the amount of radiation found is not immediately harmful to humans or marine animals and is still lower than the amount of other naturally occurring radioactive isotopes in the ocean, according to Woods Hole researcher Ken O. Buesseler, the lead author of the study. We're not seeing any levels that by themselves that would cause radiation sickness, Buesseler said in a phone interview. However, there could be problems down the line, as fish eat contaminated plankton, or when radioactive elements settle onto the ocean floor and are consumed by shellfish and other creatures in a chain that leads to the supper table. Buesseler says he's most concerned about radioactive bits of the element cesium accumulating in ocean sediments. One of the cesium isotopes measured degrades very slowly, meaning that it will be sticking around for decades. Some of the highest levels of radioactivity were found around 100 km offshore, where radioactive elements are caught in the swirling grip of circular ocean currents called eddies. The ocean currents are mixing them, creating these hotspots, Buesseler said. Currents will bring radioactive elements near U.S. shores in a little more than a year, but by that time they will have dissipated even further, according to Buesseler. Some radioactive fallout has already reached the U.S. by air. A paper published in March in the Journal of Environmental Monitoring finds that radioactive cesium and iodine isotopes were detected in air, water and milk samples taken across the country in March and April 2011, peaking around a week after the tsunami. But even those results provided little cause for alarm. Punam Thakur, a researcher with the Carlsbad Environmental Monitoring & Research Center at New Mexico State University and the lead author of the JEM paper, says even the highest levels of radioactive elements she found were 1,500 times smaller than the maximum limit set by the Environmental Protection Agency. Thakur estimates that the U.S. has been hit with about 1 to 2 percent of the radioactive elements released by the Fukushima disaster, though that figure isn't rock-solid, since the Japanese government has not released figures on the total amount of radiation released from the plant. The levels presented in the PNAS paper line up with estimates put out by the Japanese government and researchers affiliated with Tokyo Electric Power Co., which maintained the ill-starred nuclear facility. Buesseler says it was important to verify these levels through independent research, since many people in Japan mistrust the results reported to them from the government and TEPCO. Before the Fukushima Daiichi accident, radioactive cesium in the ocean came mostly from nuclear weapons testing in the 1960s, along with some smaller amounts from the 1986 Chernobyl nuclear accident and intentional discharges from European nuclear fuel reprocessing facilities, according to the paper. While offshore radiation levels are still within a safe range, the concentration of radioactive elements is still high near the Fukushima Daiichi plant, where contaminants are likely still being released into the ocean. 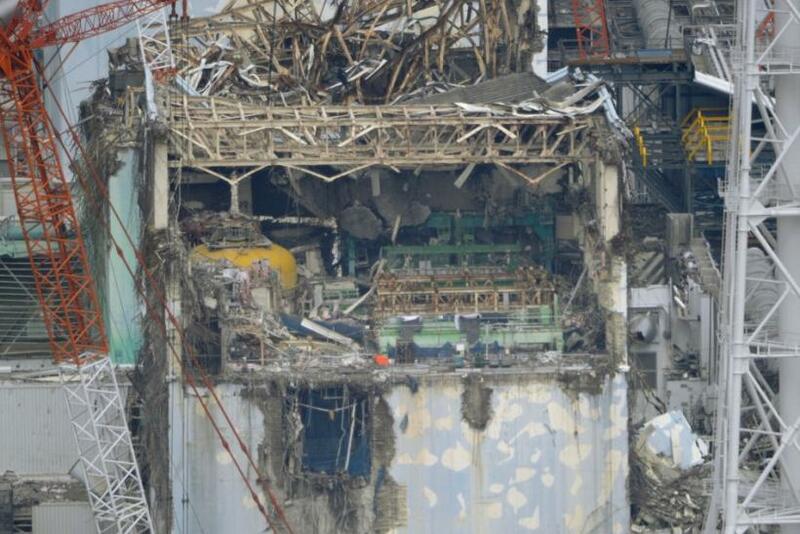 Though the reactor is in cold shutdown, all the groundwater and buildings are still leaking, Buesseler said. We're not out of the woods yet.